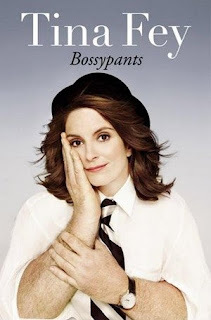 The February book selection for The Bookworms Book Club was Bossypants by Tina Fey. I was looking forward to reading and laughing my way through this book. I am a fan of Tina Fey and was certain that it would be a great read. As I read I kept thinking that I was missing something. Like I somehow missed the joke. Was it obvious to others but not to me? As I looked around within the group and online, I came to the conclusion that I was not alone. No one part of the book stands out for me and to be honest I kind of glossed over about half way through. But lets not dwell on this book! I have another to start! March's book selection is Witness to Evil by Yvonne Kinsella and Veronica McGrath. Looks like quite an interesting read.